Screen time: Yay or Nay? And why is staying active so important for kids? What can we do over Christmas vacation and how do we help our kids (and ourselves) change our couch-potato habits? *Thrive Tribe 419 podcast is available wherever you listen: iTunes, Google Play, Stitcher, etc. 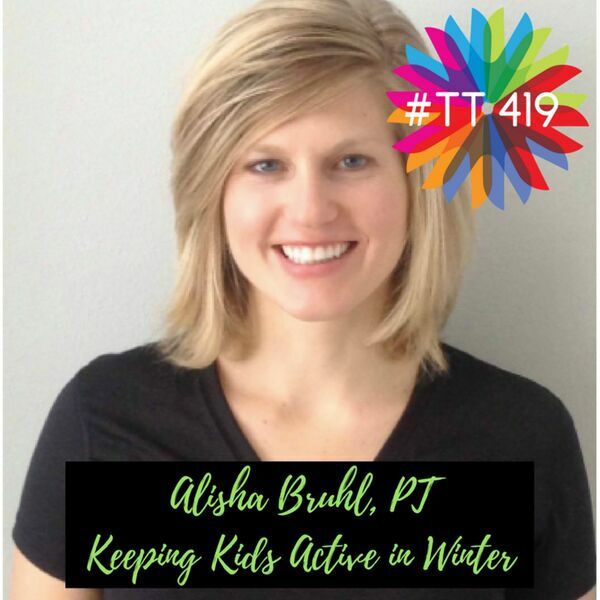 Be sure to subscribe so you don't miss next week's episode: "Women's Pelvic Health"
Dr. Alisha Bruhl is a Physical Therapist at 3D Wellness, and a mom of a beautiful 10 month old baby boy. She's passionate about helping people live active, healthy, and happy lives without movement problems or pain holding them back. for fun things to do indoors. Rose suggests checking out the Defiance Public Library System, too. They have storytimes, crafts, and all sorts of fun, family-friendly events during the winter.